Fans of the Pixar Sparkshorts releases by Kristen Lester (Purl) and Rosana Sullivan (Kitbull) will be able to enjoy the films at a new level – by listening to their soundtracks. Released last month, the Purl soundtrack by Pinar Toprak (most recently scoring the Captain Marvel film) is a ball full of jazzy energy — much like its the ball-of-yarn lead character. The Kitbull score, by Pixar artist and director, Andrew Jimenez leans into the dichotomy of light and dark moments throughout the short film. We, of course, enjoyed listening to the scores, but we also thought it was great to be able to read the track titles to get a better sense of the scenes conveyed. 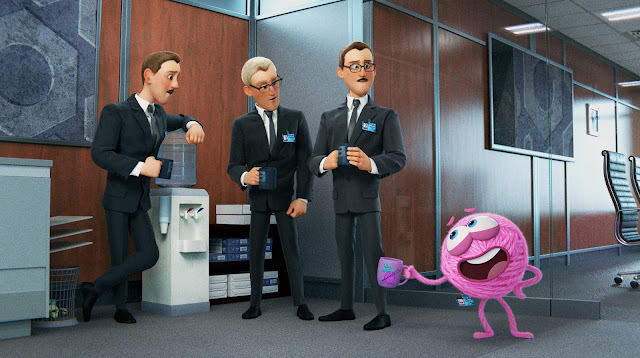 It should also be noted that the score for Smash & Grab (Directed by Brian Larsen and Music by Barney Jones) hasn't been released yet, but we would anticipate that it will be released in the future. Kitten Play — The music box tone is a perfect way to convey the innocent and fragile tone of the main kitty character. Trust — This track sums up the overall feel of the happy and sad tones of the film — you can feel the growth of the character mirrored in this track. Mission Overlook — You know that moment when you're watching the film and the characters are adopted into a loving family? Yeah, that part you teared up at! This is that moment and the payoff of the visual and audio blend perfectly here. We also really enjoyed hearing some of the alternate takes of songs as well! 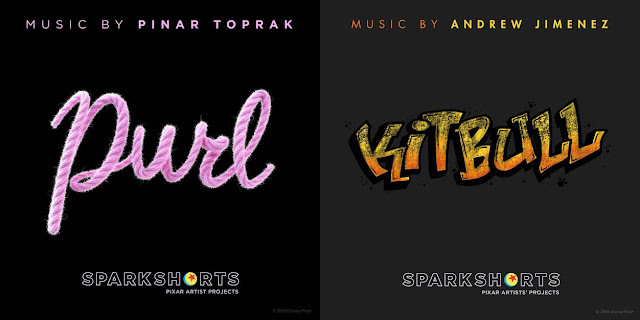 Side note, Andrew is listed on his IMDb page as the composer of Wind as well, another upcoming Sparkshorts film. Pinar Toprak's score is simply superb. I can honestly say that after listening to the score by itself, it has enhanced my experience watching the short film as well. The visuals, script, and music work so well that everything blends perfectly, but when you can isolate just the soundtrack, I was amazed at how much it really helped pull the excitement of the short along as well. From Pinar's jazzy tone, I couldn't help but also feel that she may be a perfect fit to score the upcoming Monsters-themed television show on Disney+ (but she may be preoccupied with other feature films with her soaring success). B.R.O. Capital — The standup bass and jazz high-hat that open the score say it all about the pacing the energy of the soundtrack — this is the essential track to get the feel for the film. First Day on the Job — This continuation of the first track expands on the layering and has an almost caper-story feel with touches of classic cartoon scores as well. It's Unbeweavable! — At this point in the story, things are definitely going Purl's way and the feel is so classic and upbeat that you can't deny the excitement. Listen to the full soundtracks embedded below if you're an Apple Music subscriber by signing into the page, or listen to samples of the songs without signing in. Last month the Purl soundtrack became available online to listen to and now Kitbull has followed suit. Find out how to listen as well as get our essential tracks to listen to!